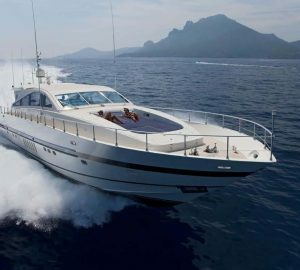 Motor yacht ROMACHRIS II is a 27m Leopard (Arno) built in 2001. 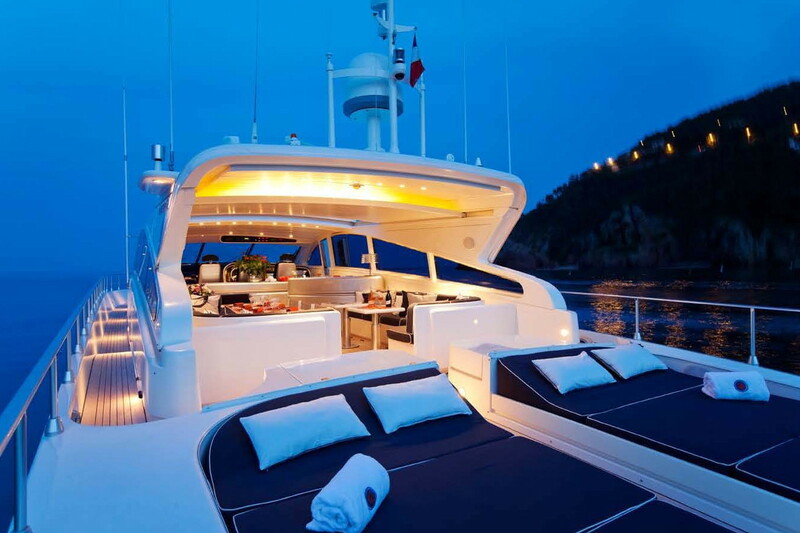 The charter yacht can accommodate up to 10 guests overnight. 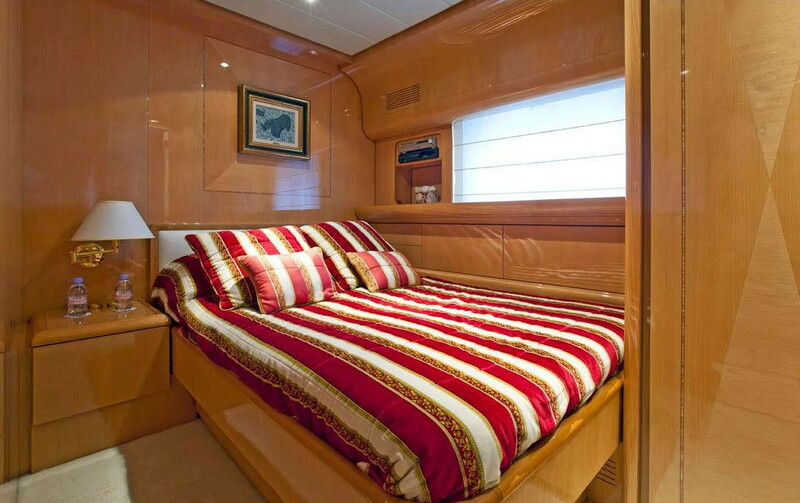 ROMACHRIS II is an Offshore Performance cruiser and also provides her guests with an extremely comfortable interior layout and style. 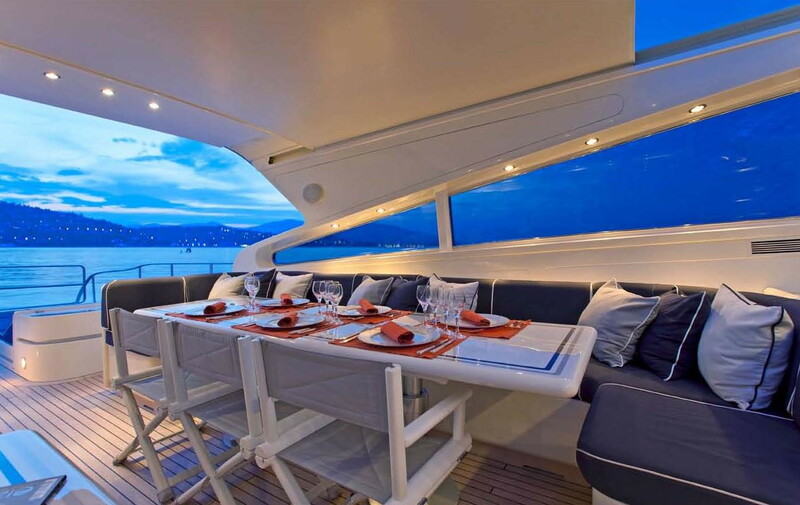 The opening cockpit is ideal for long lazy days of East Mediterranean cruising. 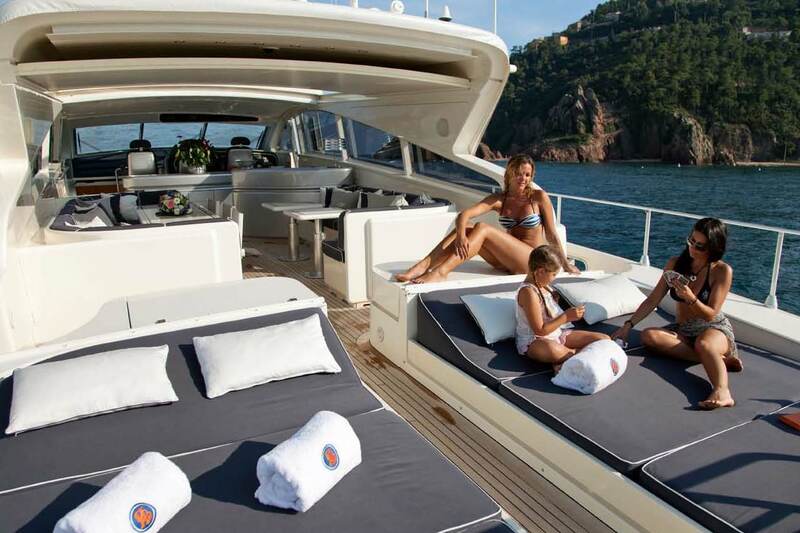 The guest accommodation area below is well laid out and the cabins are well appointed. 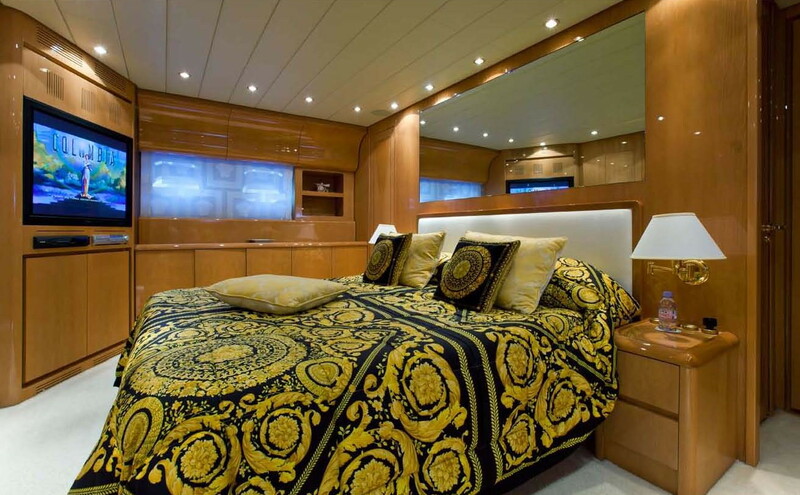 Her interior decor is very tasteful combining light Maple wood and marquetry inlays, with cream carpets. 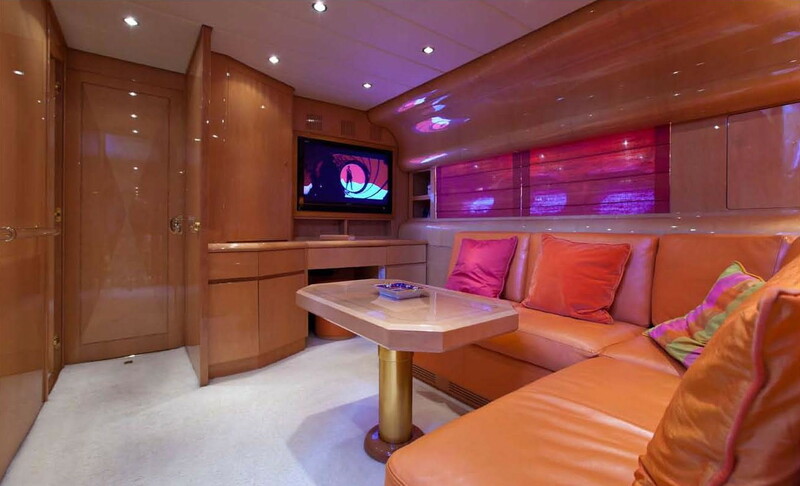 The subtle use of leather on sofas and deckheads along with the natural light which filters into the yacht make her a very comfortable yacht to be aboard. 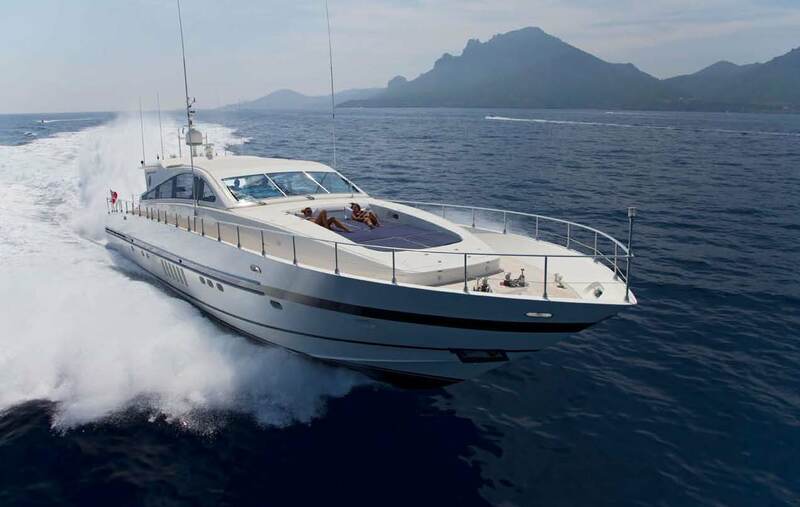 Since her delivery in May 2001, ROMACHRIS II has been predominately private and has had minimal usage. 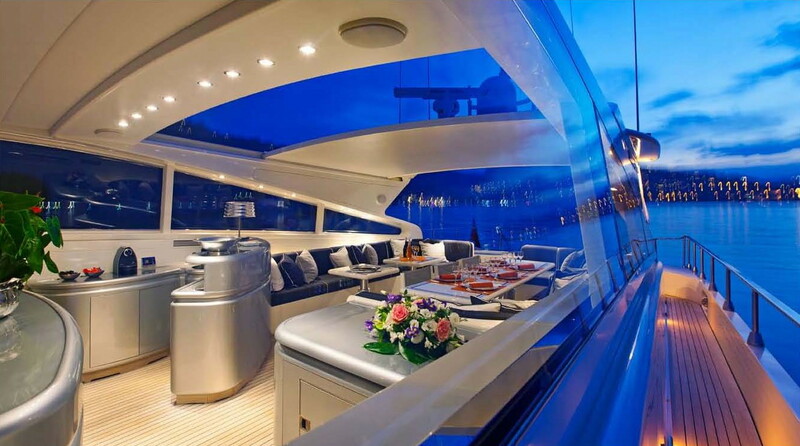 She has been constantly maintained to the very highest standards. 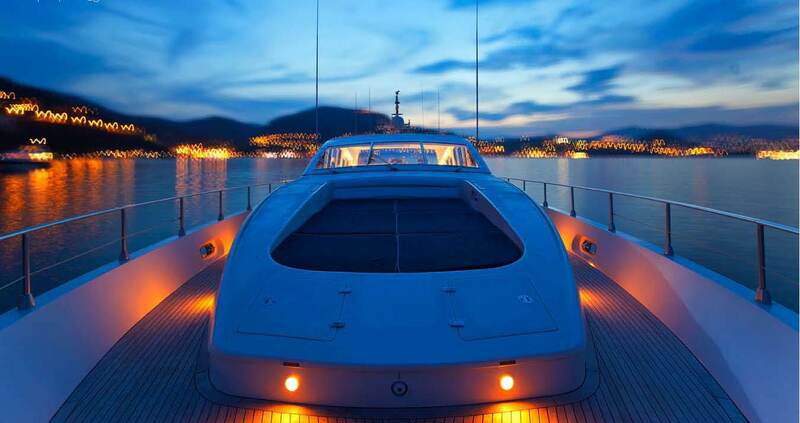 There are a crew of 4. 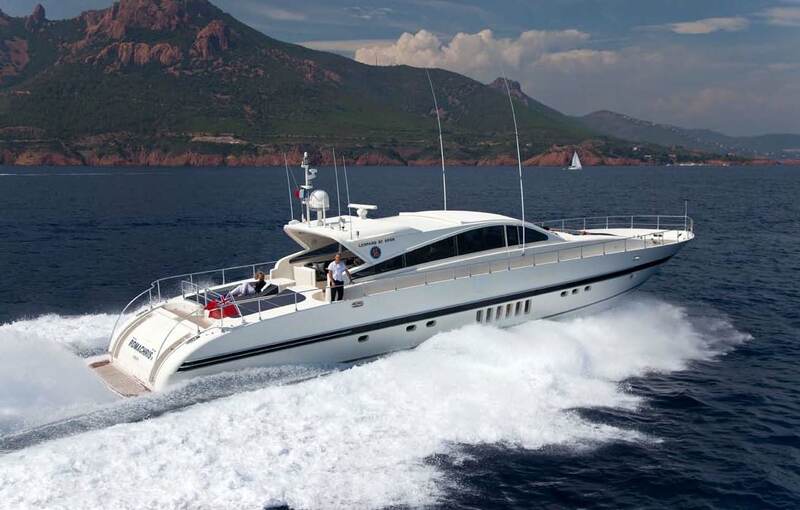 Motor yacht ROMACHRIS II can accommodate up to 10 guests overnight. 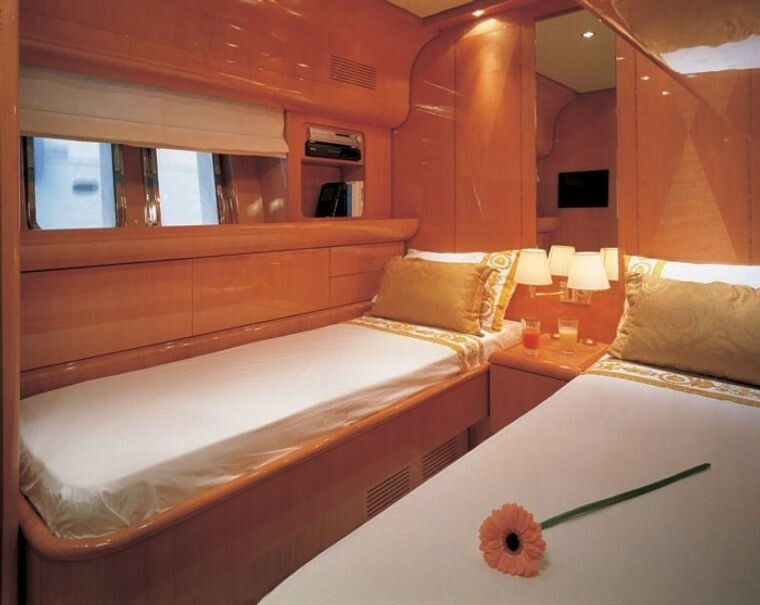 She has a master, a VIP and 2 twin staterooms (each with a Pullman bunk suitable for children). 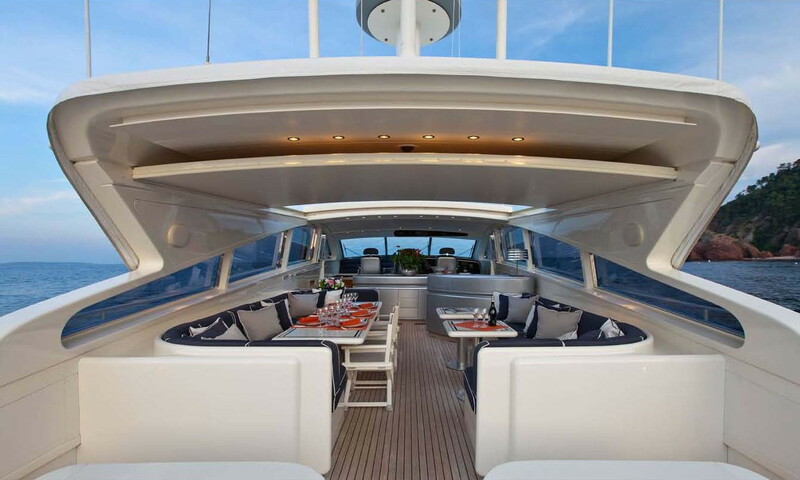 ROMACHRIS II can cruise with 12 guests and accepts 16 guests onboard while at the quay.